RETURNING to Gladstone only two weeks ago, the Frost and Olive families are busy rediscovering the city. Spinnaker Park is quickly winning the award for favourite place with the two young families. Tahnee Frost left Gladstone six years ago. When she returned, the town had changed so dramatically, she claims it resembles an entirely different place. "It could just be because I didn't have kids back then," she laughed. "But there seems to be a lot more family friendly locations around town. We are still yet to go to East Shores." The sunshine, the sand, water views, a nice breeze and lush green grass are key attraction points. "We've only been back for two weeks and we have visited Spinnaker each week," she said. "It's nice and quiet as well as having plenty of shade. 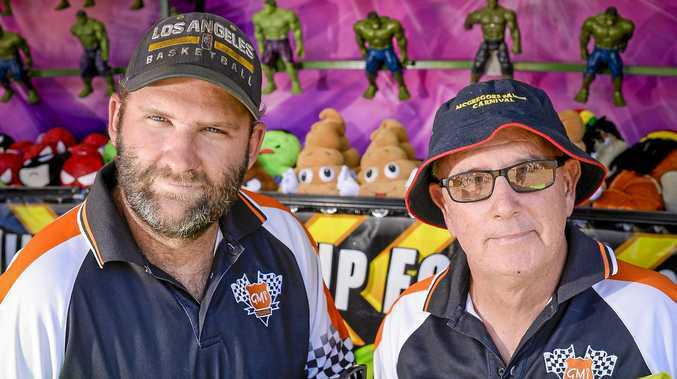 "It would be hard to find anything like this in other towns." 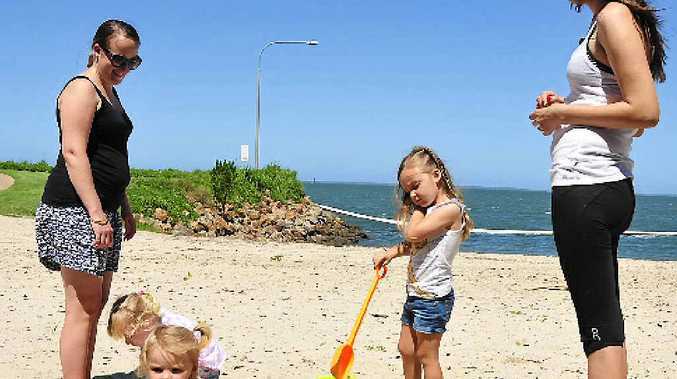 Children Candice, 2, Khloe, 3, and Hayley, 4, were busy making sandcastles on a beach they had entirely to themselves. "Last week we came here and didn't bring any toys," said Ms Frost. "This week we were one better off and decided to bring some toys to play in the sand. "Next week we may bring a picnic."